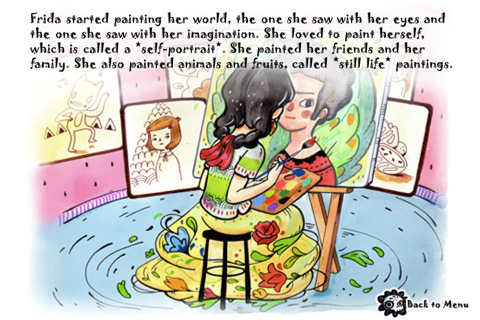 July 6th marks the 106th anniversary of the birth of Frida Kahlo. I’ve always been intrigued and inspired by her paintings, her style, her weird relationship with Diego Rivera (whom she married not once but twice after divorcing him in 1940), her impulsiveness, her tortured life and her absolutely amazing and passionate art. 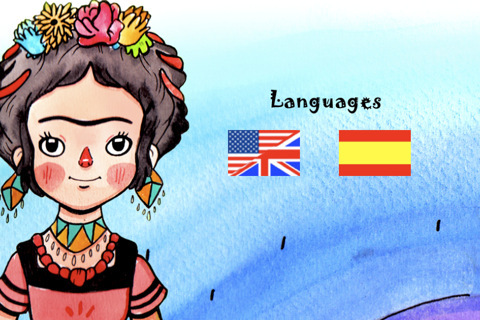 I have not only mentioned her many times in my book and used her work and her style as an inspiration in my design projects but I even designed a fully bilingual IPhone/IPad App chronicling her life in sounds and illustrations for kids. 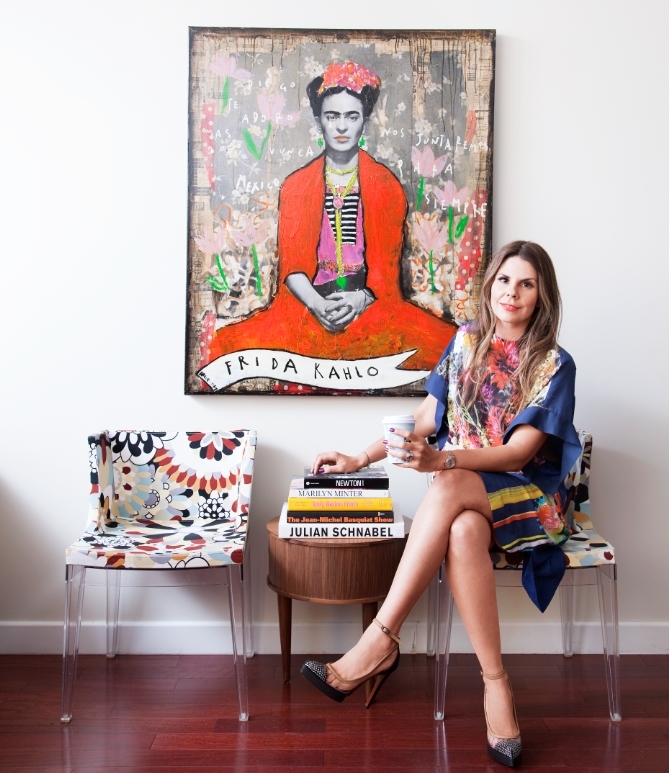 Frida is never out of style. 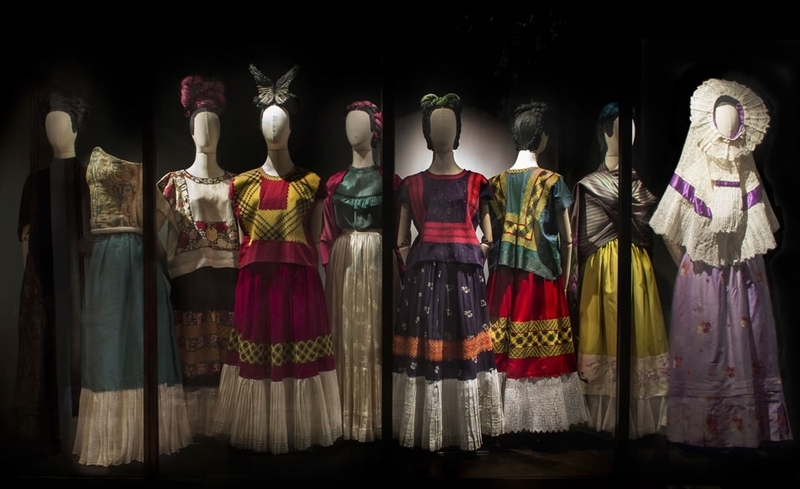 Last November, a new exhibit called "Las apariencias engañan: los vestidos de Frida Kahlo" opened at La Casa Azul in Mexico City, and the amazing editors of Vogue Mexico and Vogue Latin America, not only featured Frida on the cover of a special Vogue supplement in November 2012, but also sponsored the exhibit's opening and a Vogue room that showed contemporary fashion expressions by designers from all over the world who were inspired by Frida and her vision. I interviewed Mr. Carlos Phillips Olmedo, who is the Director of the Museo Frida Kahlo; Museo Dolores Olmedo Patiño and Museo Diego Rivera Anahuacalli who kindly and patiently told me one of the most absorbing art world stories that I’ve ever heard. Mr. Phillips Olmedo, who actually met Frida during her lifetime and knew Diego Rivera personally, is the son of Dolores Olmedo Patiño (also called “Doña Lola” by friends and family), another fascinating woman, collector and entrepreneur who was a very close friend of Diego Rivera. Doña Lola disliked Frida because both of them had had the same boyfriend prior to Diego entering the picture as Frida’s lover. Due to Doña Lola’s close relationship with Diego, she not only became one of Rivera’s most unconditional supporters but also one of his most important collectors, amassing the whopping number of 127 of Rivera’s works by the time she died. But because Diego was crazy about Frida, even after Frida had passed, he begged Doña Lola to buy 27 of Frida’s pieces that belonged to a private collector who had died and whose family didn’t want the artwork anymore. Frida wasn’t a big name at the time of this acquisition which occurred between 1954 and 1955 so Doña Lola didn’t pay that much for the entire collection. Doña Lola didn’t know what to do with Frida’s works (remember, she despised her, and a Latin angry woman can harbor resentment forever...) so she stored them in a closet for years and years. However, a few months prior to Diego’s death, he set up a trust and bequeathed all his possessions (including Frida’s “Blue House” which is today the Museo Frida Kahlo) to the people of Mexico and instructed Doña Lola to lend her Fridas to the museums that were to be created to show these vast collections. 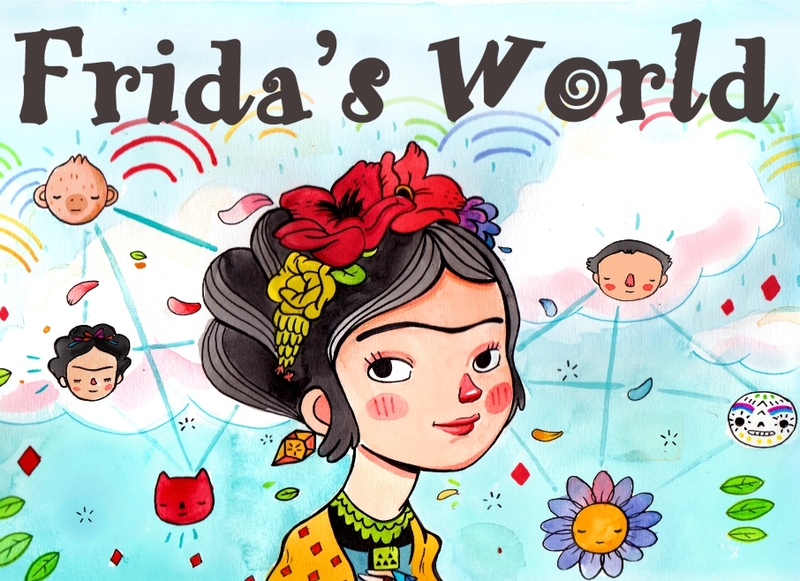 Nowadays, the Museo Dolores Olmedo Patiño hosts the largest collection of finished oil paintings by Frida. Most of the amazing works in this museum come from Doña Lola’s collection, and which has some of the most iconic works that Frida painted, including the “Autoretrato con Changuito” (Self-Portrait with Monkey); “El Camion” (The Bus); Hospital Henry Ford and “La Columna Rota” (The Broken Column). As the Director of all three museums, Mr. Phillips Olmedo continues and expands the work that his chic and brilliant mother started more than fifty years ago. He not only presides the executive committee of the trust that oversees Frida’s copyrights which is able to authenticate any Frida piece that’s brought before it but has also a veto power over things like for example grating Salma Hayek (after lengthy negotiations) the rights to reproduce Frida’s paintings in the movie that Salma produced and starred (and which earned her an Oscar nomination back in 2003). If you want to visit any of these Mexican museums, bear in mind that Frida’s paintings are always being requested on a loan to travel the world to be shown in different museums, so make sure to call before to get accurate information about the whereabouts of the pieces.